Welcome Royals, here is where you discover all things new in Garrett Land with Prince Garrett and his dog Zeus (nicknamed Zuzu). The Prince and his faithful companion awakens every morning and find themselves in the latest adventure. Some of his adventures include what to have for breakfast, what miracles exist in the prince’s own backyard, creating one’s own adventure, and how one can create their own possibilities? In addition to being filled with adventure, Garrett Land is also filled with music. Look to your right and you will find a music playlist of songs that can be heard throughout the royal world of Prince Garrett and friends! Just in time for the Holiday season … Prince Garrett’s Video Book, “Prince Garrett and the Thanksgiving Box”. Prince Garrett and the Thanksgiving Box is sure to be a classic. The book turned cartoon was created and directed by Jannie Pilgrim. It’s a story about how Miguel, Prince Garrett’s friend and how he learns the meaning of Thankfulness – after not knowing the whereabouts of his father. This video book is just in time for the holidays and is sure to become a holiday favorite. Chef tries to awaken the sleeping Prince Garrett and finds that he remains sound asleep. After many inventive yet failed attempts, Chef runs out of ideas, until … How to wake a Sleeping Prince is sure to become a reading favorite. Don’t sleep on this and order your copy today. Jannie Performing, How do you Wake a sleeping Prince? Bright Horizons Lopatcong shares their possibilities with art. Request that Prince Garrett visits your school and see what’s truly possible. Drew wonderful depictions of how they would wake a sleeping prince. In addition to helping children embrace the love of reading, the series teaches character, courage, determination, self-esteem and, has an on-going theme connected to nature. 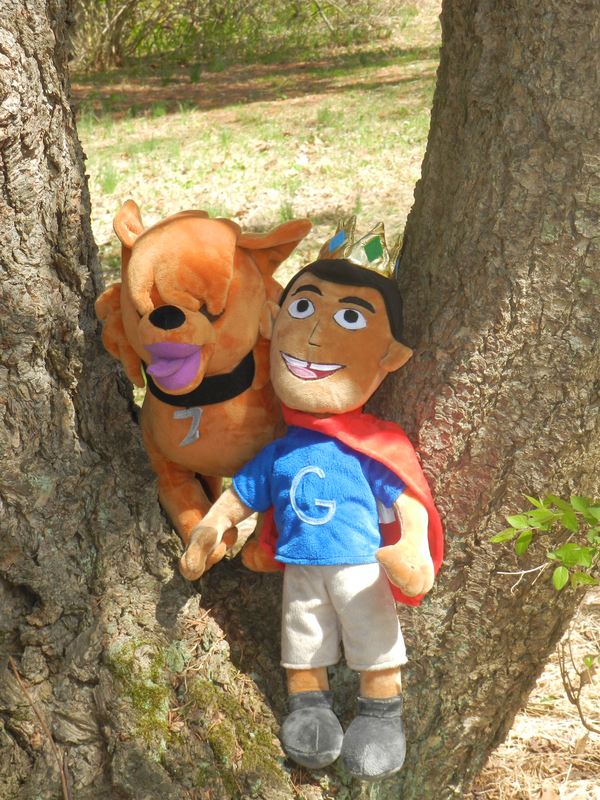 Prince Garrett lives in Milford Forest with his friends. He is a steward of the world he lives in. Throughout the series, the young prince and his faithful companion get an opportunity to connect with others, stand up for what’s right, and learn about their environment in their daily adventures. When the young prince is given the chance to explore, he is innately curious which leads him to ask questions and seek answers – that’s where the learning begins! The royal ‘Chef’, and sage (wise man) provides lessons of wisdom and development for the young Prince Garrett that teaches him to value himself and others. The books, music, and the musical play encourage inquisitiveness, friendship, potentiality, and the value of connections. Prince Garrett brings holistic learning to kids at home, within their schools, learning centers, and the community. Excellent reading for any age. My eleven years old daughter loves to read this book over and over again. I highly recommend this book. Prince Garrett dreams of pancakes and his chef makes them for him each morning. The illustrations are kid friendly and adorable.